Bungie’s recent split with Activision-Blizzard earlier this month took the gaming world by surprise, and it seems it also caught investors flat-footed. The publisher’s stock price took a 10% hit when news hit that it was losing the Destiny 2 developer, and now several law firms are preparing to file class action lawsuits over the sudden breakup. A total of five US law firms have announced class actions related to the split, two of which joined this past week. The New York-based Rosen Law Firm, which specializes in representing investors, alleges that Activision-Blizzard violated federal securities law by failing to “disclose that (1) the termination of Activision-Blizzard and Bungie Inc.’s partnership … was imminent” and that this was likely to have a major impact on the company’s revenues. Both firms say their suits have been filed with appropriate courts, but that they are also actively seeking investors who have lost money on Activision-Blizzard stock to join their classes. The two firms join Federman & Sherwood, Pomerantz LLP, Levi & Korsinsky, LLP, and Faruqi & Faruqi, LLP in announcing and/or filing lawsuits against Activision-Blizzard, Wccftech reports. Both Activision and Bungie have generally been careful not to express public frustration with each other in public. 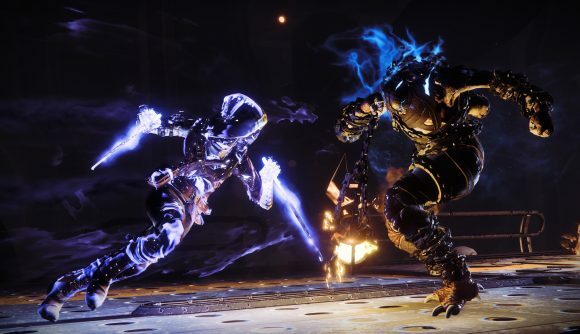 The one mild exception came after news surfaced in November of Activision expressing disappointment with sales of Destiny 2’s Forsaken expansion during an earnings call. That investor call coincided with another significant drop in Activision-Blizzard’s stock price (from around $65.09 USD per share November 7 to $51.60 a week later), and Smith’s response suggested the two companies’ goals for the game were not the same. Nevertheless, the split between the companies still came as a surprise this month, and the pending lawsuits will seek to determine whether Activision-Blizzard should have been more forthright with its investors over the fate of the relationship.